When you attend an Archival Designs'/Loftus/Placek Family venue, you meet many people in the "family" who are so talented in construction, architecture and design. These photos were taken by Mark Placek who is quite talented. Mark told me he is fortunate to have a family of exceptional carpenters for teachers. His cousin, Tom Placek, Trompe L’oeil Properties, gave him a great foundation in traditional carpentry that reflects in his work today. 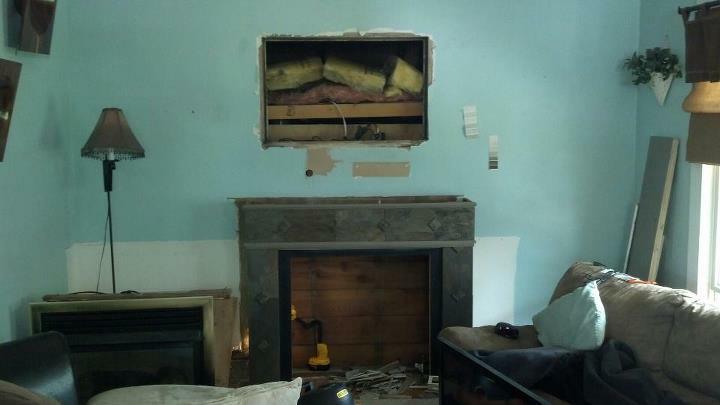 Regarding his modification, Mark stated, "The glass doors had been hidden away for many years in an attic of a house I was working on about a month ago." The owner asked if I wanted them, of course I said yes. The house was built in 1920 and the doors are in perfect condition and even had the skeleton keys in them. 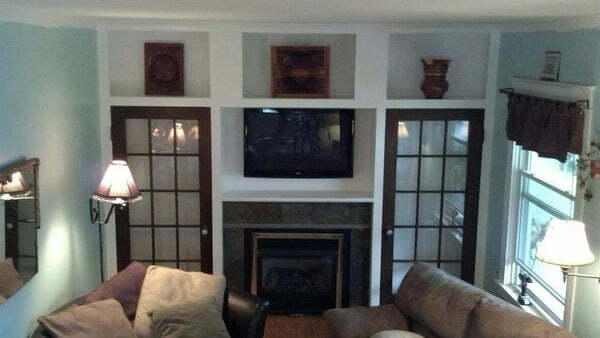 They fit perfect in the wall unit, we also discovered buried in the wall behind the television was a leaded glass window that will become the focal point of the cabinet." Very nice job, Mark! Kudos!! Have something you want to share with us? Let us know on Facebook!